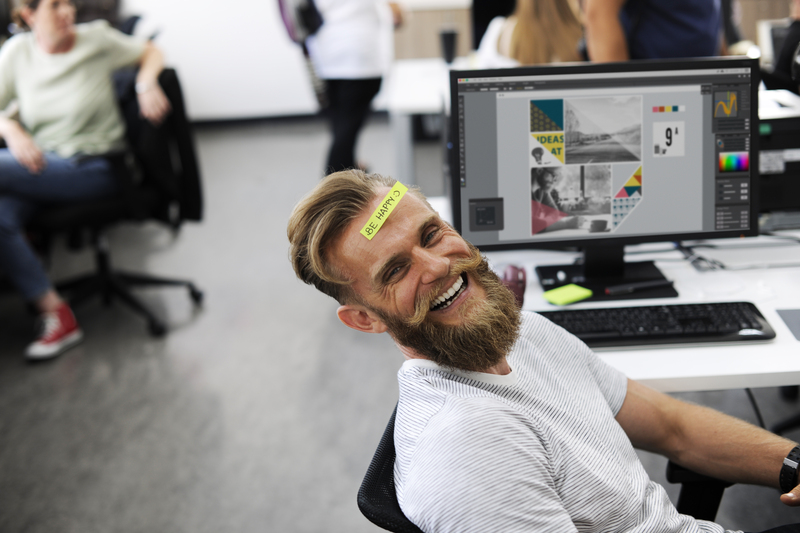 The importance of omnichannel customer service is paramount – modern customers can contact you via email, chat, ticketing systems or social messengers. Having separate tools for all this, combining them together and managing customer interactions from different places is a real headache. An all-in-one CRM platform can solve everything. But the problem is that most available CRMs are too complicated, cluttered, difficult to get the hang of. Why not create something fully functional but simple and intuitive at the same time? We’re doing this at HelpCrunch. 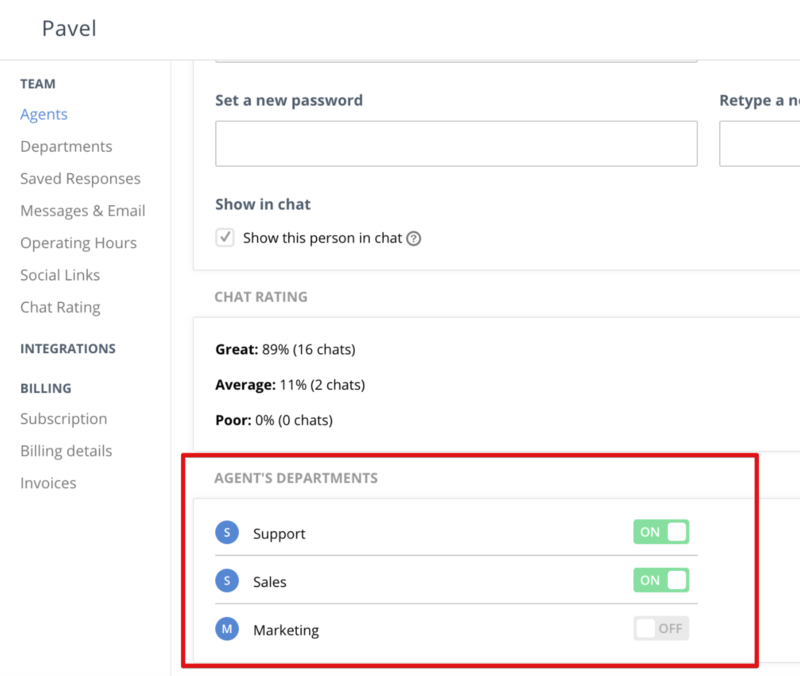 Have a look at what new help desk features we added recently to make managing customer interactions seamless and hassle-free. Now it’s very easy to categorize and assign customer requests to the right person. You can create any number of departments, such as support, sales, marketing, and assign agents to them. When inviting a new agent to join your team, you can immediately define to which department this person will have an access. 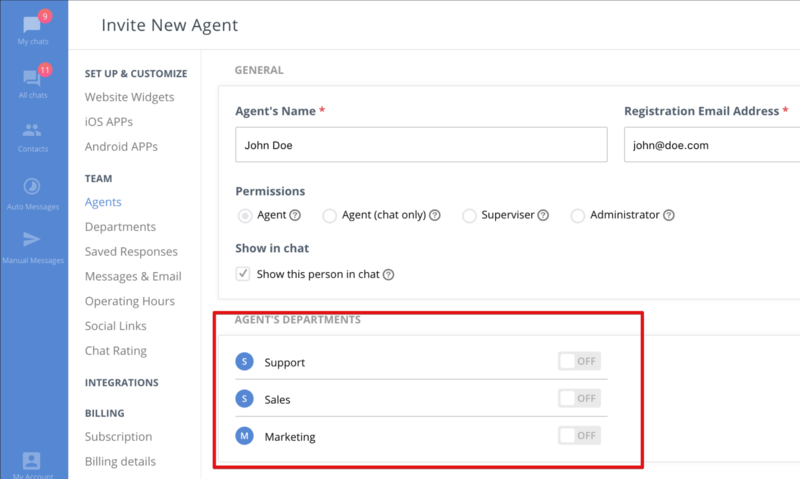 The department(-s) to which agents are assigned is/are also shown in their profiles. If an agent is not a member of a given department, he/she will not see any chats from it. Only administrators and supervisors can manage departments and they are automatically assigned to all them. Transfer and assign chat. 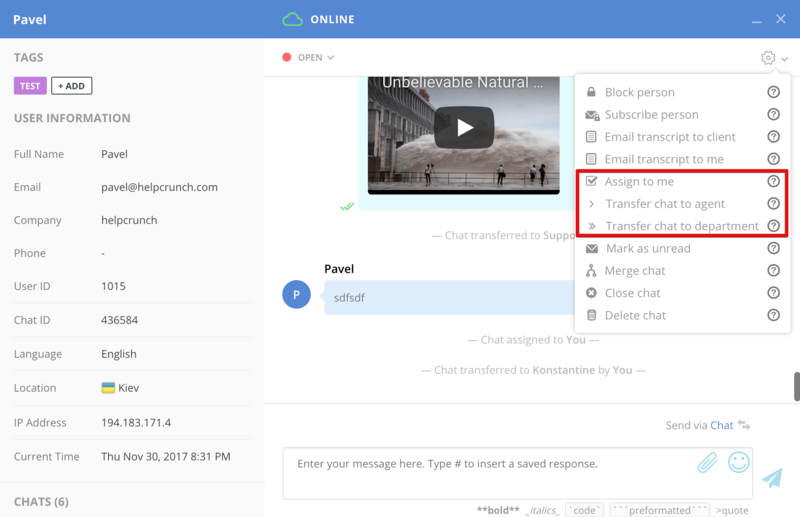 Now you can transfer a chat to a specific agent, assign it to a certain department or to yourself. Unlimited chat history will let you track all the actions with a given chat. By default, a new chat gets assigned to the agent who replied first. Send chat transcripts by email. 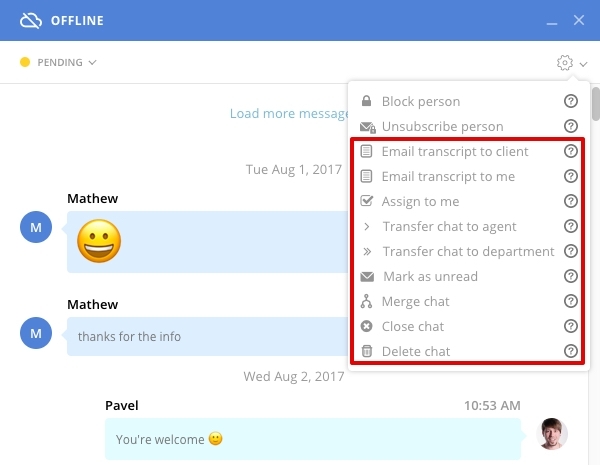 For greater convenience, you can now send full chat transcripts by email to a customer or yourself. Mark a chat as unread. If you open a chat and understand that it can be better handled by another agent, you can mark the chat as unread and transfer it to him/her. Delete a chat. If you’ve got irrelevant chats – you can get rid of them with one click. Merge chats. Let’s say the same unauthenticated visitor contacted you 2 or 3 times from different devices or using different emails. When you understand that this is the same person – you just merge several chats into one and conveniently have all communication in one place. Wanna put us to the test? and check if we’re truly the best? Sign up for a free 14-day trial and see yourself how HelpCrunch helps you organize your customer interactions and increase conversion.